At Conaway Motors we often hear people as if there is a real reason for your 60K mile service in Mukilteo. The answer, of course, is yes there is a reason for that 60k mile service check up. There are certain milestones in the life of a vehicle – times when manufacturers predict that certain parts are going to start showing wear. This isn’t planned obsolescence; this is just the nature of metal parts and ordinary wear. Of course, there are certain terrains and environments that can be very hard on vehicles and can create a need for the kinds of services that normally occur at the 60K mile service a bit earlier. 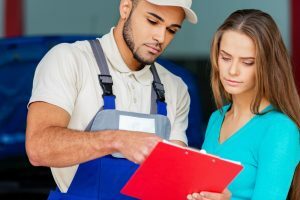 An ordinary 60k service might include checking and/or replacing all fluids and filters, doing the same for spark plugs and related systems, adjusting the clutch, checking all parts of the braking system, and checking fuel lines – very similar to the 30K or even your yearly maintenance check-up. On top of that is checking the alignment, balancing the tires, checking the rear alignment, draining and filling the coolant. In some vehicles, a radiator flush might be indicated. If you have a regular mechanic who knows your vehicle, the 60K checkup should be exactly that. If you plan carefully, you can schedule it as part of your regular yearly maintenance event. Conaway Motors will be glad to explain the reason for your 60K mile service in Mukilteo and take care of it, just call (425)905-2424 for an appointment today. Our conscientious mechanics will check everything and perform necessary maintenance items to help keep your vehicle purring along on the roadways. We won’t promise to make your vehicle like new, but we will do our best for you.